Are you in the market for a Big Loo Robot which was first sold during the 1963 Christmas season? If you are, this Resource Information DVD is highly recommended for both experts and novices alike. Our Buying and Selling Guide is intended to save you considerable time and money! The Big Loo Buying & Selling Guide is in PDF format to allow easy reading as well as the option to print it, if you should so choose. It has five big pages crammed with information ranging from eBay strategies, market trends and how to spot Big Loos you should proceed with caution. We also dissect each and every accessory and explain their potential value and replacement costs. We also tender advice on situations when you should ALWAYS avoid certain Big Loos! Then we compare in depth, the aspect of investment quality Big Loos vis-a-vis Robots purchased merely to collect and enjoy. Our DVD contains much more than a Buying and Selling Guide which could save you hundreds and hundreds of dollars. Here’s a question, can you understand your current Big Loo when you crank him to talk? We have digitally mastered all 10 of Big Loos classic phrases! Our disk contains this high fidelity audio file which for the first time, you can clearly hear all 10 phrases in his commanding baritone voice! This is our own custom recording and it will surely be of interest to seasoned Big Loo experts as well as novices that may not have never heard him speak with such clarity! 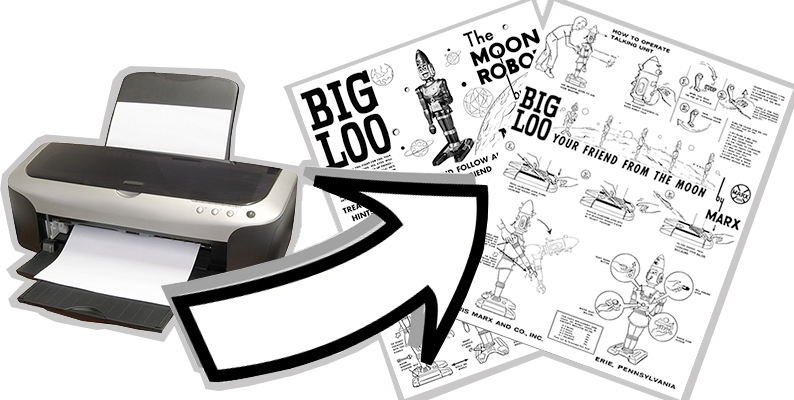 We have created a number of fun to read Big Loo articles in PDF format which can be viewed on your computer or printed on your home printer. 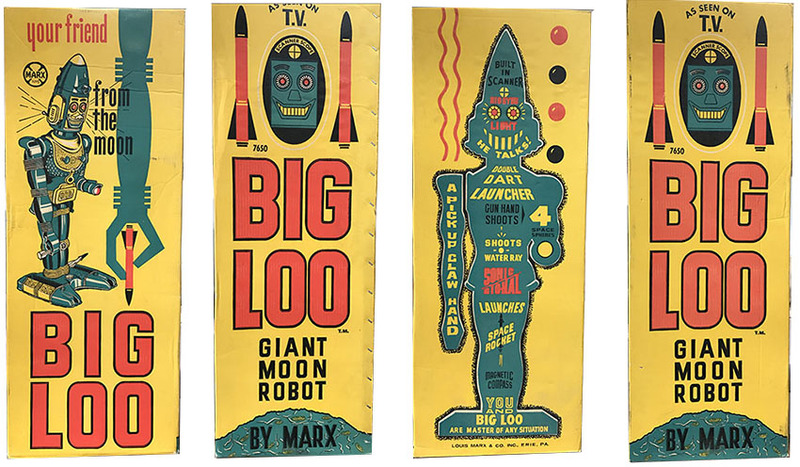 Some address Big Loo Accessories and others are about the history of the Big Loo Robot. We even include some fantasy articles from the Mind of Big Loo himself. Arm chair Robot reading at its best. 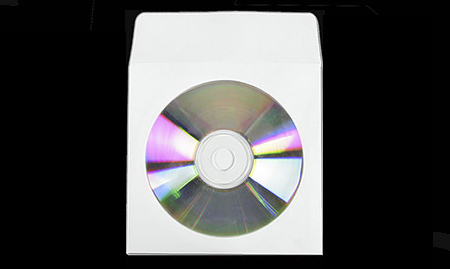 Our CD also contains high-resolution photos examples of various Big Loo Robots. They are intended to be used to evaluate Robots and determine their values. Some of these photos were sourced from the public domain but are conveniently located on this DVD. Also from our private collection is a mint condition Big Loo example. This exceptional Robot is useful for determining what a almost perfect Big Loo should look like. Of special interest to the project oriented Big Loo enthusiast is our ultra-high-resolution Mint Shipping Box examples. If you have ever wanted to reproduce your own box using the original graphics, there are no better files than the ones we have included on our DVD. These were photographed by us and taken from a box that looked just as it did when fresh in 1963. There are quite a few of these on the DVD and were taken from every angle and side to allow you to customize that reproduction box that you have always wanted to create! A very special item of interest are our locally produced HD Videos of investigating the voice playback mechanisim inside the Robot’s head. We completely disassemble the voice record and playback device and show you how it works in action, all in HD of course! Also included is our HD Video of our mint condition Big Loo in a complete walk around tour format! Highly recommended for the serious Big Loo collector. 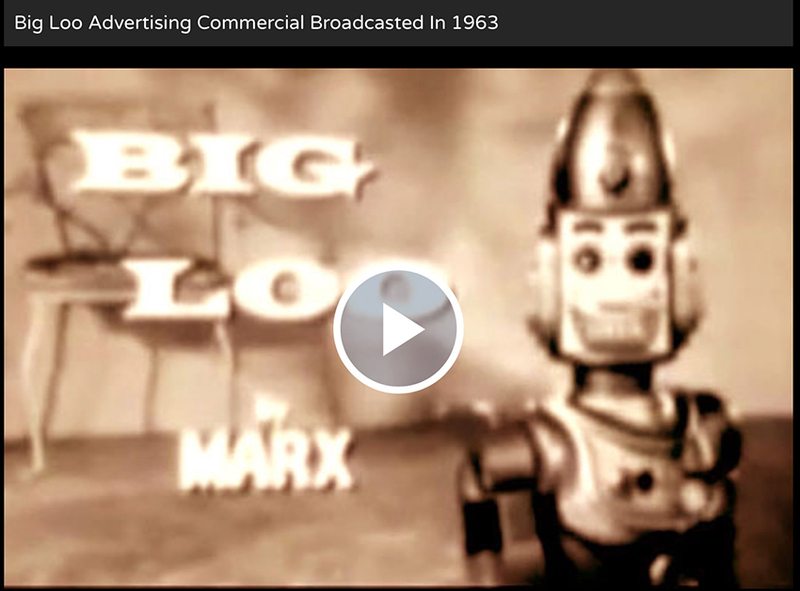 This wouldn’t be the world’s most comprehensive Big Loo Resource DVD without the 1963 Marx Toy company commercial video! Yes it is on YouTube as well but why not have your very own copy? With our version located on this disk, you don’t have to worry about a slow internet connection slowing down the commercial video playback. You can even pause it at will to examine some very interesting aspects which is rather hard to do when playing through the YouTube version. Lastly and as previously mentioned and noted in our auction title, is our Big Loo Buying and Selling Guide with helpful tips on how to utilize eBay auctions. Although our DVD is jammed packed with tons of other great Big Loo information, we are especially proud of our Buying and Selling guide! 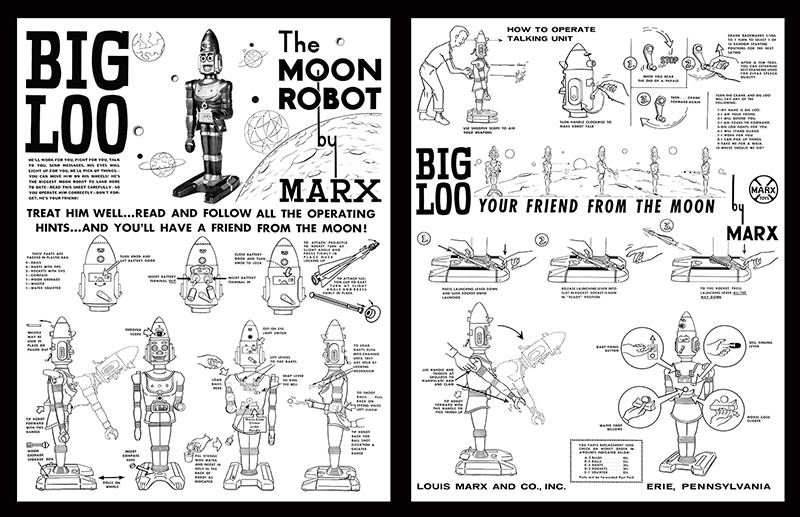 Special Bonus Item: Included on our DVD is a set of high resolution examples of the Marx Toy Company Big Loo Original Instructions that were first included with the Robot in 1963. They will enable you to print a perfect copy of the instructions on your home printer. Now you can replace your torn and faded copy. Or perhaps you don’t even own a copy – in that case this DVD is a must have! 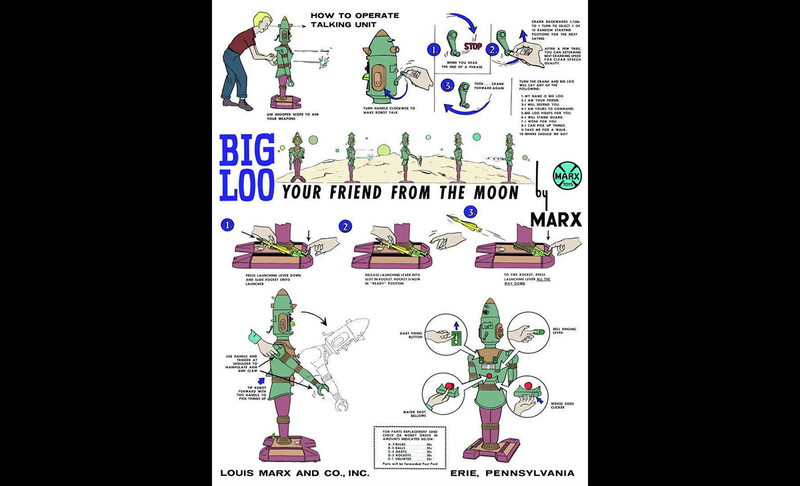 · Twenty articles on various Big Loo subjects in PDF format. · HD Videos on the internal voice workings of the Robot. · The original 1963 TV Commercial in full length. 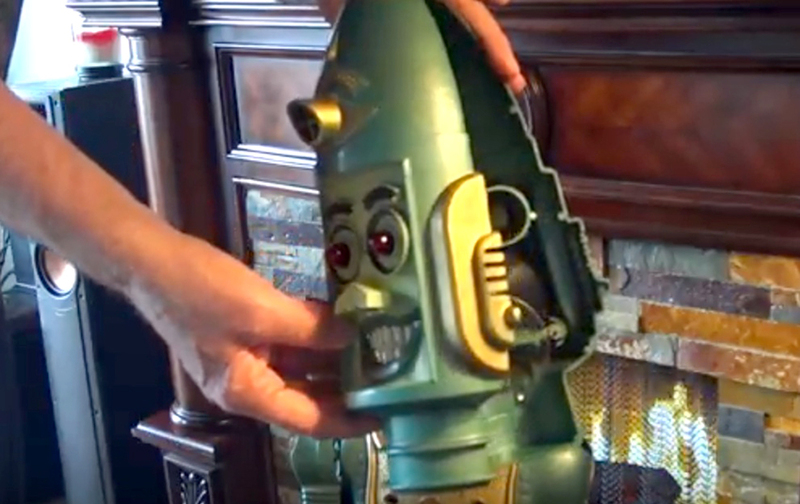 · HD Video tour of a Mint Condition Big Loo as an example of a best quality robot. · High-resolution photo of Big Loos in various states of condition as a buying reference. 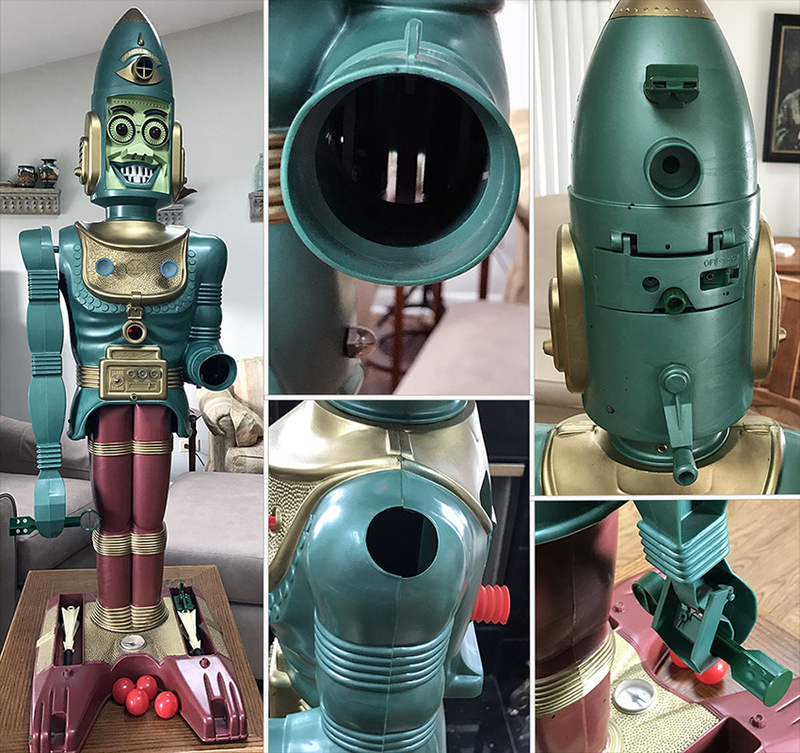 · How to sell you Robot on eBay and maximize your return. · How to buy a Robot off eBay and make sure you are paying fair value. · A very clear audio file of all 10 phrases spoken by the Robot. · Ultra-high-resolution photo files of a Mint Big Loo Shipping box. · The original 1963 Instructions in high resolution which you can use to print on your home printer.